Believe it or not, there's video proof of early October powder turns already surfacing out of the Northern Rockies. A recent storm dropped 2 feet of snow across parts of the region, providing just enough base for some hike-to turns at a local ski area. While North America has yet to spin its first chairs of the season and declare its first official open ski resort, that's not stopping skiers and riders from seeking out some pre-season turns. 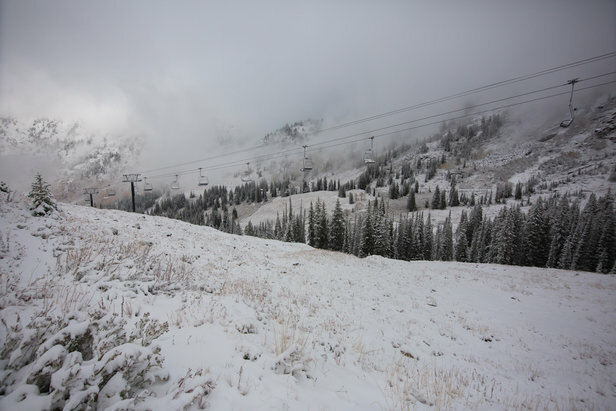 Resorts across California, Nevada, Utah, Colorado, Montana and Washington have received new snow over the last few days, creating some incredible fall scenery. 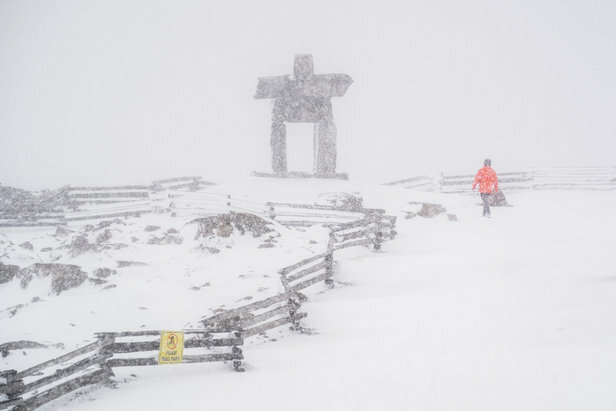 Scroll through the storm gallery below to see which North American ski resorts have scored early October snow. We want to see YOUR snowy mountain shots! Send us your Winter is Coming ski resort/mountain photos via one of the ways below and we'll feature the best pics in an upcoming gallery. Be sure to include your name for attribution.